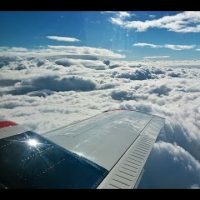 Ramblings about flying for fun and profit. The weather cooperated last month on a couple of my trips and I was able to take photos of airports that I don’t usually get to see. This first one is on the Southeast coast of Iceland. I took this photo from about FL350 . (I did a little enhancing in Photoshop, but not much.) 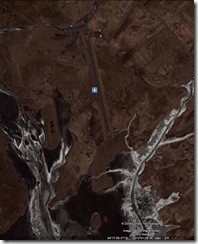 Below it I have included a screen shot of the Google Earth view of the same airport (N65 17′ 42.75 W15 13′ 40.50) . It took a while to find it, but the view is almost identical. 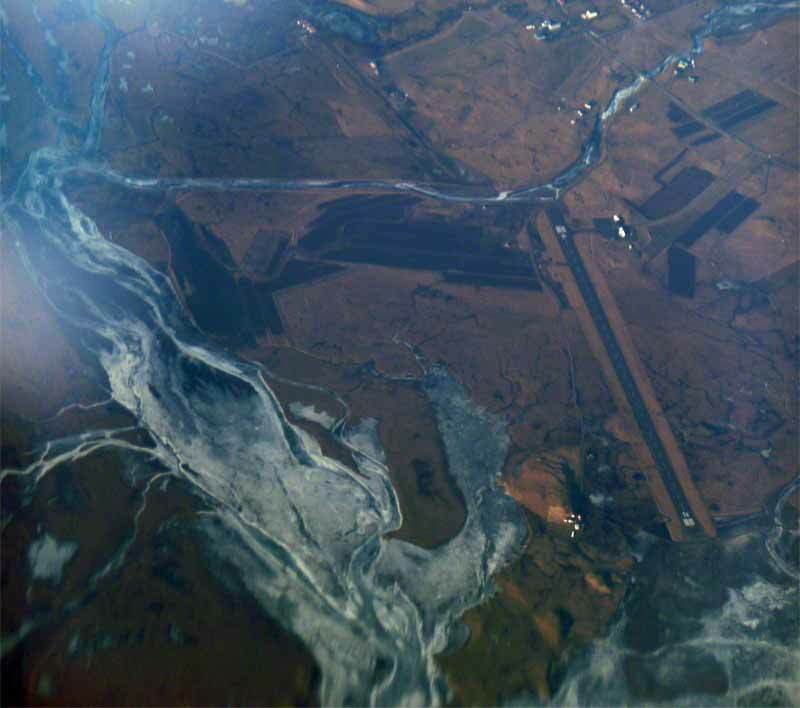 Zooming out in Google Earth shows the town associated with the airport is on a peninsula directly south of the runway and that the airport is on the coast almost directly opposite (east) of Reykjavik. 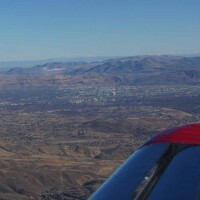 Zooming in shows the parking ramp on the north end with the two white-topped buildings and an airplane on the ramp. According to Wikipedia, the airport is served by Eagle Air, an Iceland airline based in Reykjavik. 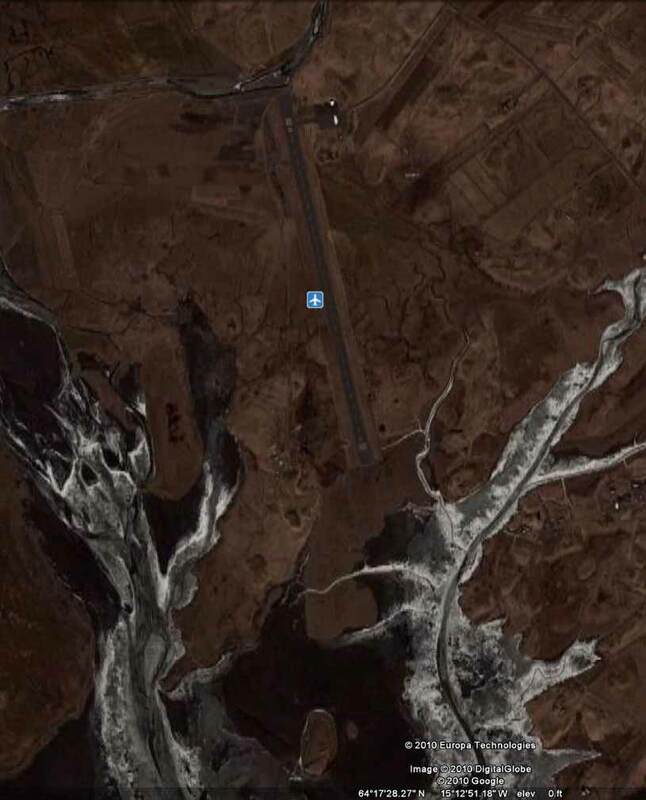 According to the entry on Airport-Data.com the runway length is 4921′ (1500m) asphalt. Not much more information is available about the airport, though I’m not surprised. I doubt that the traffic count is very high, especially in the winter months. 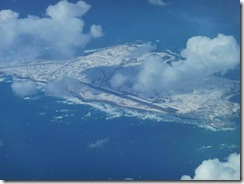 Every time we fly to Asia we fly close to the island and airport of Shemya, in the Alaskan Aleutian Island chain. If you take a look at the chain of islands in Google Earth you can see that the chain extends in a big sweeping turn from southwestern Alaska to just short of Russia’s Kamchatka Peninsula. Shemya is almost at the end of the chain of islands. 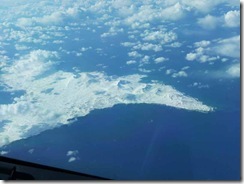 The next island in the chain to the west is Attu, one of the islands occupied by Japan during World War II. The Japanese intended the attacks on Attu and Kiska Islands to divert the U.S. forces attention from the Japanese attack on Midway Island. The U.S. had, however, broken the Japanese message codes by then and knew of the intended diversion. The Aleutian islands were later taken back by U.S. and Canadian forces. While I was in the Air Force flying the C-5 our squadron often had missions that included trips to Shemya. 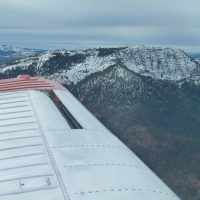 To operate there you had to have a special airport qualification and your first landing on the island had to be observed by a Shemya-qualified instructor. I never made one of those trips. Our flight that day took us southwest from the eastern coast of Shemya to the eastern coast of Agattu Island on our way to Tokyo’s Narita International Airport. 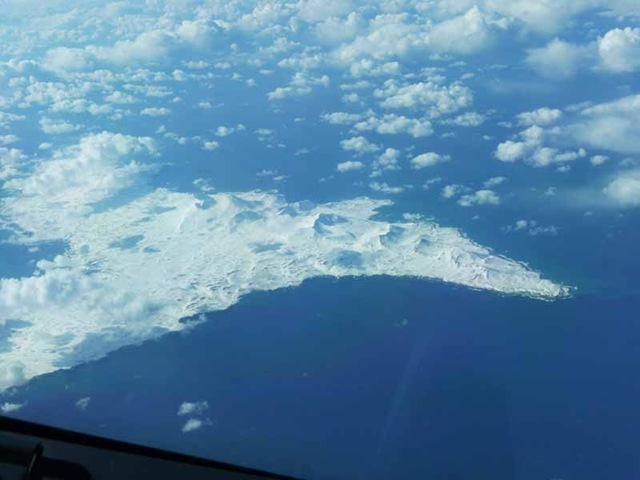 It’s rare that we get a glimpse of either of these islands. I am always amazed that the majority of our ocean crossings either to the east or to the west are above a solid cloud deck. I have never crossed any of the oceans on board a ship, but I’m curious how often a clear sky is visible as they make their way from port to port. Based upon the amount of time that we see the open ocean on a crossing in the northern latitudes I would think that ancient mariners taking celestial fixes would have had a very hard job tracking their position. "Be nice to your first officer. He may be your captain at your next airline."